MOCAK the Museum of Contemporary Art in Krakow is another museum to have made its collection available online on the Virtual Museums of Małopolska. 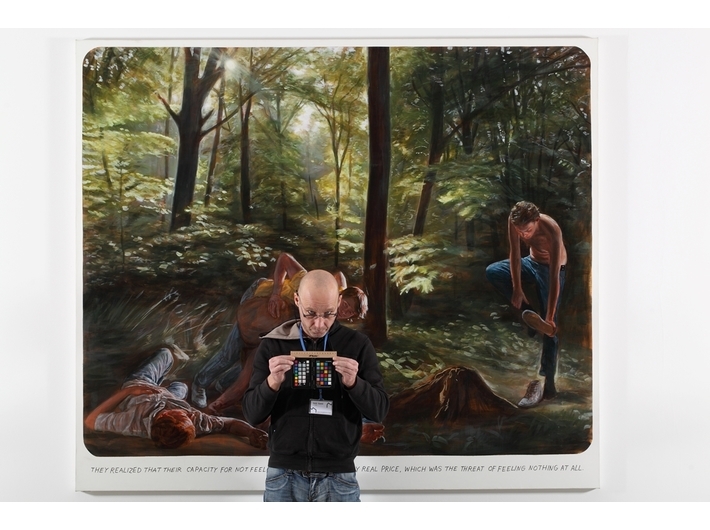 From 15 May 2015 you will be able to see on the website 47 selected exhibits from the MOCAK Collection. Digitalisation of the works at the Museum went on throughout March and April. The RPD (Regional Digitalisation Studio) team worked on the digitalisation of works of art and enabling the general public to view them online. 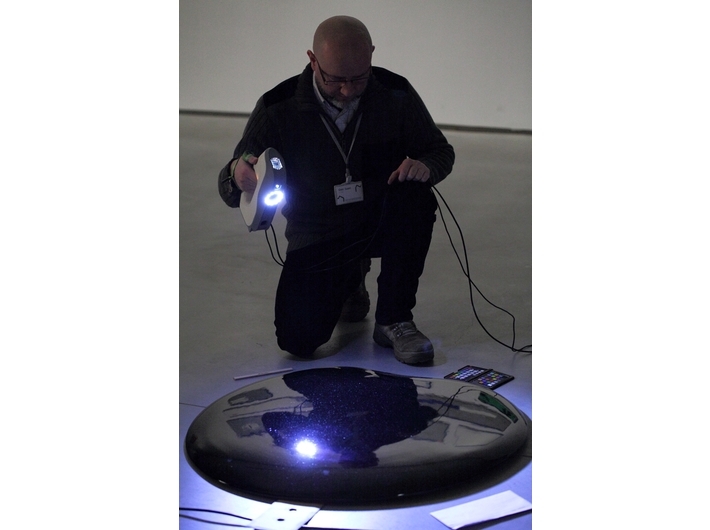 The tasks were tackled by scanners, a photographer and graphic artists in collaboration with the staff of the Collections Department at MOCAK as well as the Museum’s conservator. Digital images of the objects, complete with descriptions as well as texts to put them in context and educational material, have been published online in the form of group presentation on the file of a particular object. All the content is downloaded from the repository – a safe backup and store space of the portal, in which museums are able to store their resources free of charge. 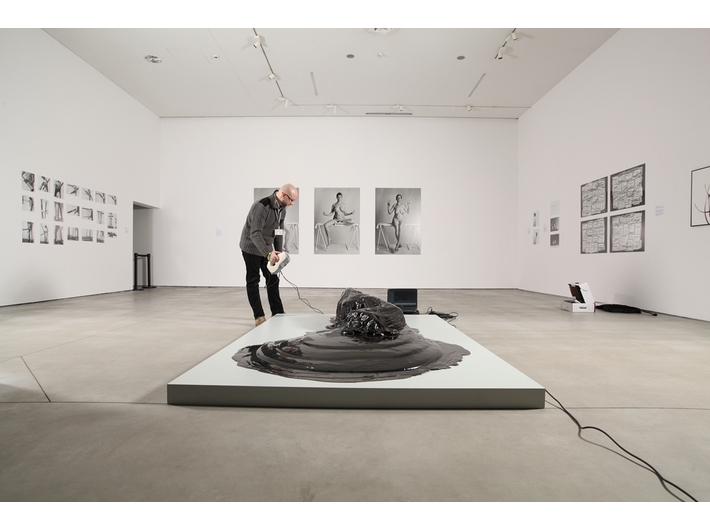 Amongst the digitalised works from the MOCAK Collection you will find spatial works: sculptures, installations, objects or assemblages as well as two-dimensional ones: painting and photography. 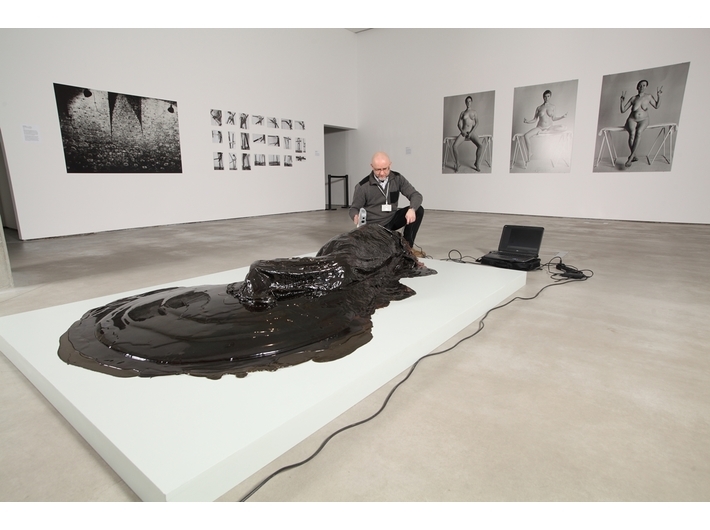 The first group will be represented by works including the sculpture Daniel by Paweł Althamer (2011), bought thanks to funds from the Ministry of Culture and National Heritage and the Object Oil Spills by the Chinese artist Ai Weiwei (2006), as well as a work familiar to all the visitors to MOCAK: the installation Between by Stanisław Dróżdż (1977/2004). 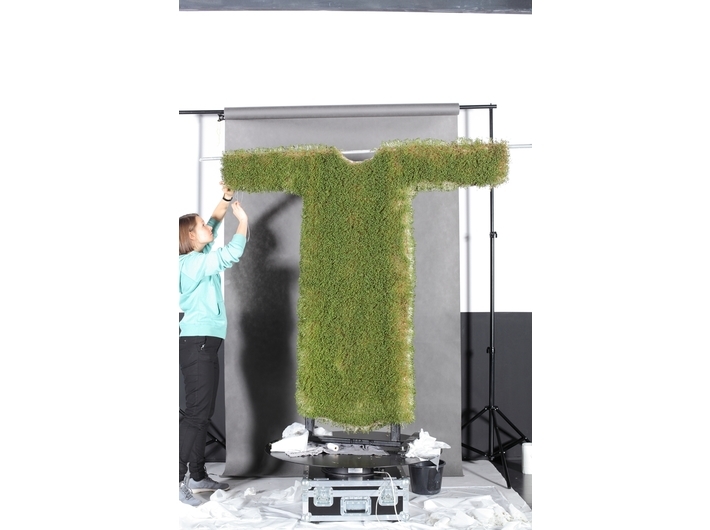 The work Third Harvest (1973/2014) by Teresa Murak has proved quite a challenge to digitalise. Painting and photographs will be represented by works by Edward Dwurnik, Marcin Maciejowski, Jadwiga Sawicka, Laura Pawela as well as Katarzyna Górna and Ane Lan. The MOCAK Collection has been in progress since 2010. At the beginning of 2012, it numbered almost 2 000 items. 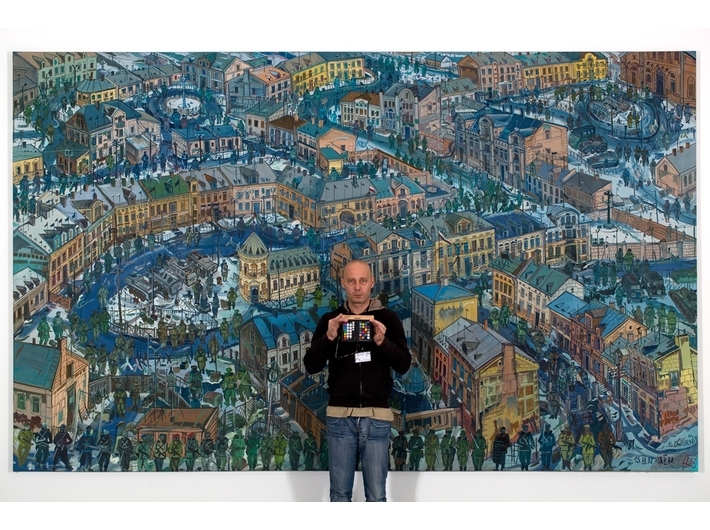 Today, the Museum has in its collections some 4 000 works of 207 artists, both Polish and international. The Collection aims to bring together and display works of Polish artists of the last 50 years, placing them against the background of international art. Just as important a goal is to popularise the achievements of the most significant artists among diverse segments of society in order to alter the perception of contemporary art as something difficult and incomprehensible. The Virtual Museums of Małopolska is the first in Poland project of the digitalisation of museum resources on such a scale. Presently, available on the website there are almost 1 000 works – of which some 600 have been scanned using 3D technology – from 39 museums. The portal was created as part of the project carried out by the Department of Economic Development of the Marshall’s Office of Małopolska and the Małopolska Cultural Institute in collaboration with 35 museums in the region. The project has been co-financed by funds of the Małopolska Regional Operational Programme for 2007-2013 of the European Fund for Regional Development as well as from the budget of the Małopolska local government. In 2014 as part of the project Małopolska Virtual Museums Plus, the resources available on the website expanded by a further 121 exhibits from four museums in Krakow. The implementation of the projects was part-financed by the Ministry of Culture and National Heritage as part of the Ongoing Programme Culture+, Priority ‘Digitalisation’. The collections on the website are constantly updated and developed, thanks to the activities of the MIK Regional Digitalisation Studio as well as working closely with the institutions which have been involved in digitalisation throughout Małopolska.